I first heard about Charlie Banana diapers when they were sponsoring diaper giveaways through Operation Smile on Facebook. Of course, I perk right up when I hear the words diaper and giveaway in the same sentence. Plus, with a name like Charlie Banana, how could these diapers be anything but adorable? btw - Charlie Banana donates 1% of sales to Operation Smile. How awesome is that? Turns out, my instincts were right - they do make super cute diapers. Not only do their diapers come in traditional colors like Baby Blue, Sage, Bubblegum, and others, they also come in prints for boys and girls and vibrant, bold colors like Shanghai Green, Turquoise, and Hot Pink. Charlie Banana diapers are made to fit all the way from birth through the toddler years with one size and sized diapers ranging from xsmall to large. These diapers are actually a 2-in-1 system. Just like traditional pocket cloth diapers, you can use the reuseable microfiber insert, but you also have the choice of using disposable inserts. Just lay the disposable insert right on the fleece and tuck it under the flap. This is a wonderful choice for parents that are still a little 'iffy' about cloth diapers, or for caregivers, vacations, etc. I was able to try out some of these products and I was not disappointed! 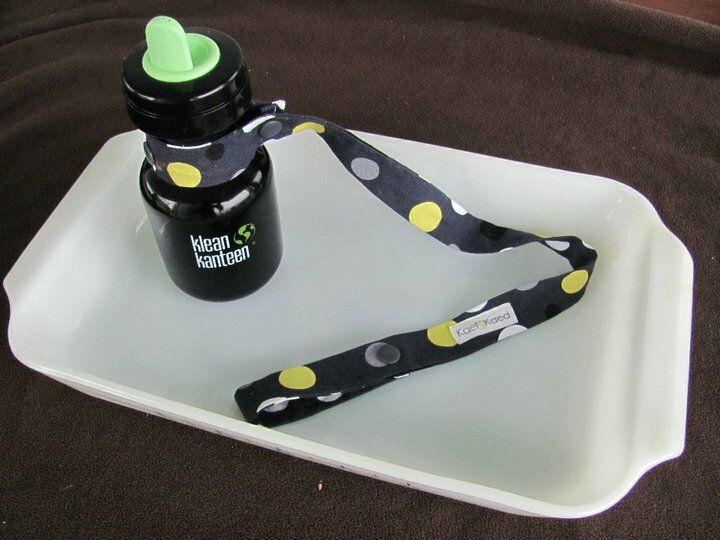 The Charlie Banana Tote Bag (wet bag) and wipes were the first two products I used. The wet bag is simple, but the black color and Charlie Banana logo give it a sophisticated feel. I was able to fit 4 large and medium diapers and 4 or more wipes in the bag with a little room to spare. What I love about it is that it can be used long after your little one is done with cloth diapers because it's also great for holding swimsuits, gym clothes, shoes, and more. The Double Sided wipes are made of organic cotton on one side and fleece on the other. They get the job done, but are soft and gentle. I even stole a couple from my son's stash to use when I wash my face. The diapers, of course, were my absolute favorite products. 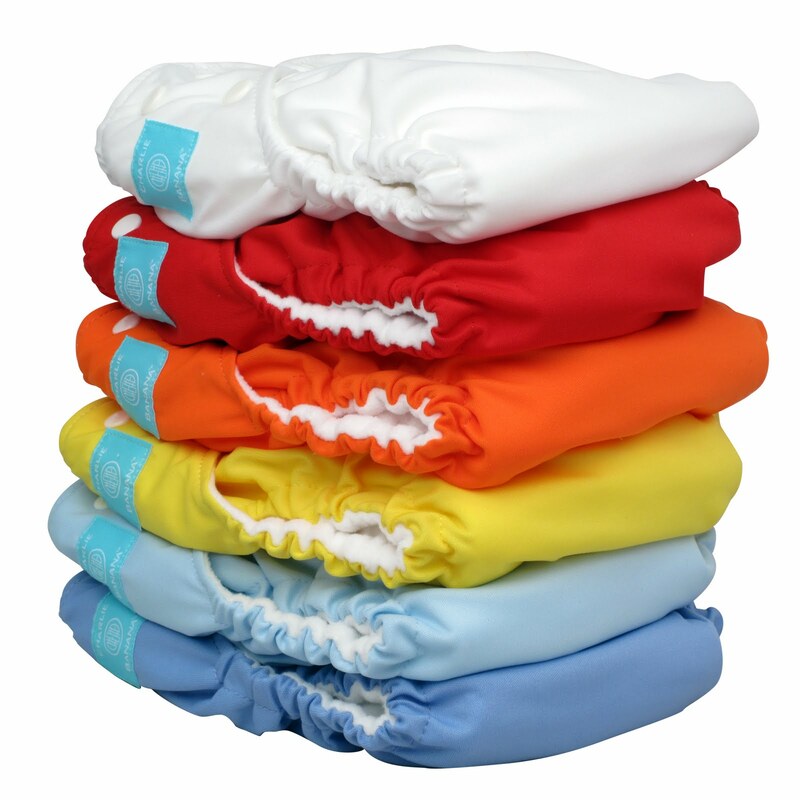 The outside of the diapers are made of PUL and come in a wide range of colors, along with a few prints. The fleece liner is so soft and does a wonderful job of wicking the moisture away from little man's skin. and can also be used with the disposable inserts. While I'm not normally a fan of disposable inserts, I did like these. They are large enough that they have a good coverage area and they also don't have those sticky tabs on the back that stick to everything. The sized diapers range in sizes from xsmall to large and my little man uses both the large and medium sizes. The medium size fits him almost perfectly, but the large gives us that extra rise. What made me fall in love with the Charlie Banana diapers is that the waists of their diapers adjusts a little bit smaller than other diapers. At 10 months old, my little man was more like a chunky monkey and he was able to wear large sized diapers. Then he started crawling...and walking...and running! It didn't take long for him to morph from a chunky, long baby to a skinny, tall toddler. And then the large sized diapers didn't fit him around the waist, but our medium sized diapers didn't have a high enough rise. With the Charlie Banana diapers, I'm able to make the waist small enough on the large diapers to fit little man perfectly. Plus the triangular layout of the snaps help keep the front of the diaper from drooping. Rise - 10" to 19"
Waist - 12" to 25.5"
Thigh - 3" to 12"
I gotta say, I was pretty impressed by those measurements. I also like the fact that this diaper was slightly less confusing for my husband than other one size diapers we have. Instead of adjusting the size by using snaps, Charlie Banana diapers are adjusted by using the elastic and a button. My son has had his diapers put on him in some pretty interesting ways when hubby's been faced with the task of using a one-size with a bunch of snaps in the front. Because of the way the Charlie Banana one size diaper is adjusted, it's also easier to make more subtle adjustments since it has seven different settings. ﻿During the day, we used the diaper with the larger insert and I was very pleased by the trim fit of Charlie Banana diapers. Autumn is already in the air here, so it's great to have diapers that fit so nicely under pants. For nighttime use, I added the extra insert just because my son can be a super soaker. He usually sleeps anywhere from 8-10 hours at night and we have not had any problems using the Charlie Banana diapers at bedtime. The fleece liner and microfiber inserts are the perfect combination to wick the moisture away from my son's skin, but still keep the diaper from leaking. Want to buy your own Charlie Banana products? Visit Charlie Banana for a list of retailers. 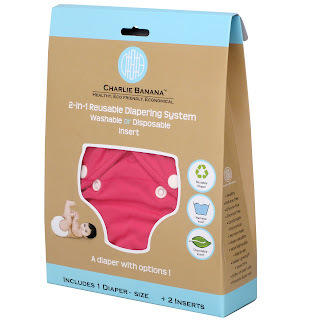 You can also purchase Charlie Banana diapers at Amazon and Babies R Us for around $18 each or $99 for six. 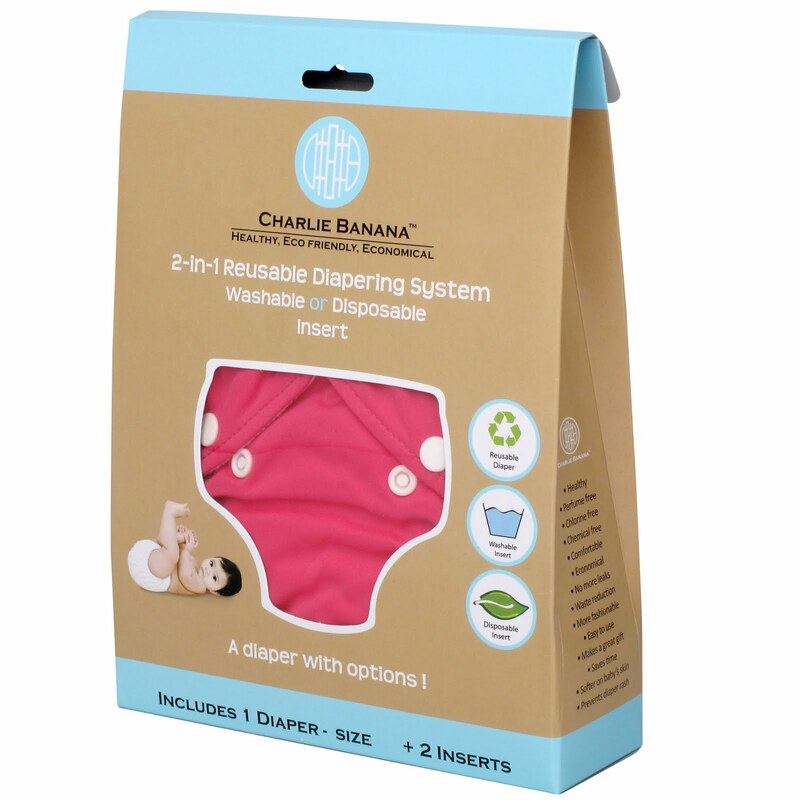 Want to win a Charlie Banana OS 2-in-1 Diapering System with reuseable and disposable inserts? Go to Charlie Banana and let me know your favorite Charlie Banana diaper color. Like Charlie Banana on Facebook. Follow Charlie Banana on Twitter. Follow this blog through Google Friend Connect. The contest ends Friday, September 24th, at 4pm CST. One of the more frustrating aspects of cloth diapering can be finding products that work for you and are also cloth friendly. Detergents, powders, creams, solutions...anything that you use on the diaper area needs to be safe, not only for your child, but also for your diapers. Sometimes, it takes a little trial and error. But, sometimes, you find the perfect product! That's what I've found with CJ's BUTTer. Honestly, it was the name that drew me in at first. But, once I did a little research, I found out that CJ's BUTTer is a truly multipurpose, cloth friendly product made by a WAHM. You can use it for rashes, dry skin, hand cream, and more. You can even use it as a leave-in conditioner! CJ's products come in so many wonderful scents, that there is something for everyone! We use the original CJ's BUTTer in a jar, but I was also able to review CJ's Stick o'BUTTer. I love both products. I've even staked claim on my own jar of CJ's BUTTer in the Mango, Sugar & Mint scent. I constantly use it on my hands, elbows, and feet. It leaves you feeling moisturized, but without the greasy feeling that other diaper creams can have. What's so wonderful about CJ's Stick o'BUTTer is that it's so darn convenient. It comes in a tube with a twist up bottom so all you really need to do is twist and apply. No more mess and no more fumbling to wipe your hands while your naked toddler's trying to crawl away! This is my go to product whenever we're out of the house. So quick and easy. It's also perfect to control waste and works great for caregivers. 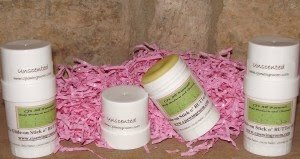 I've also tried CJ's All Natural Lip Balm and Creamy Body Lotion. Both are just as fabulous as the BUTTer. You know how some lip balms seem to dry out your lips? I swear it's like a conspiracy to get you to buy more since you're constantly reapplying it. Not the case with CJ's! It moisturizes my lips without leaving a greasy residue and it lasts forever! I usually only need to reapply 2-3 times a day. The Creamy Body Lotion is fantastic as an all-over body lotion. It makes my skin soft and smooth and the scent is just perfect. It doesn't smell diluted, but it's not overpowering either. and Spritz o'BUTTer - a liquid version of CJ's BUTTer in a spray bottle. Just like the Stick o'BUTTer, this is great for quick and easy applications. It also works great as a body spray or a leave in conditioner. 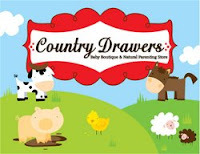 CJ's Sewing Room and some cloth diaper and natural parenting stores. Visit CJ's Sewing Room and let me know what product is already your favorite or what product you'd like to try. Giveaway ends Friday, September 24th, at 9am CST. My bathroom becomes a mini spa with aromatic candles, mud masks, luxurious body washes, and whatever else I feel like that day. One of my newest favorite indulgences is sugar scrubs. They smell divine and are perfect for those summertime, flip flop feet. Naturally, I was intrigued when I heard about the Ultimate Scrub from Kickin' Creations and ecstatic when Mandy, owner of Kickin' Creations, contacted me about a review. This scrub really is the ultimate! 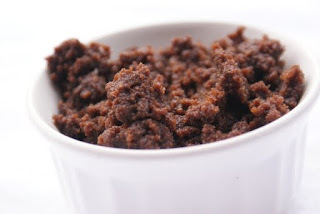 It's a blend of chocolate, cinnamon, sugar, vanilla, and coffee scents. Seriously?! My favorite things all combined into one? This was magical!! I was hooked as soon as I opened up the jar. The aroma just blew me away - it was the perfect blend! As soon as hubby came home that night, I was getting in the bath! 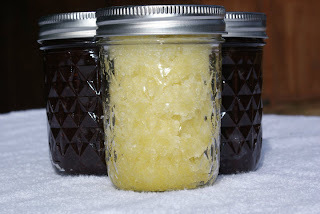 Most sugar scrubs I've tried are great at exfoliating, but don't do much for moisturizing. Not the case with the Kickin' Creations sugar scrub. It not only smooths your rough skin, but moisturizes too, so you come out of the bath with soft, glowing skin! I had considered posting before and after pictures of my feet. But, I'd like you to continue reading my blog. Really - I have scary feet! Kickin Creations also creates this luxurious scrub in Chocolate and Lavender scents, and that's not all she makes. You can also buy CD safe laundry detergent, deodorizing powder, blankets, burp cloths, and more! You can find her on Facebook and also in the Cuties with Cloth Booties congo on Hyena Cart. Now for the fun part - Kickin Creations is offering one of you the chance to win your very own Ultimate Sugar Scrub! Comment back on this post and let me know you became a fan. Giveaway ends Wednesday, Sept 22nd, at 11am CST. I suppose you could call this a bit of self promotion or you could call it another fantastic giveaway! A few of you know that I have a little cloth diaper and natural parenting store called Country Drawers. We just recently opened as a way for me to stay home and still make a little money - gotta pay for that fluff addiction somehow!! We carry a small selection of clothes, toys, accessories, and cloth diapers, including IttyBittyBums AI2 cloth diapers. IttyBittyBums Diapers are made with a PUL outer cover and a cotton knit or micro fleece lining to make it extra soft. There is a laundry tab for ease of washing. Inserts are made from a wonderfully soft micro-fleece on the outside and 6 absorbent layers on the inside . Very absorbent- the fleece wicks moisture away from baby's skin-it is also super soft against baby's skin and resists stains. Each diaper comes with one insert. Solid colored diapers are $10 each, print diapers are $13 each and minky diapers are only $15 each. Sizes are Newborn (6-12 pounds), Medium (15-23 pounds) and Large (20- 35 pounds). Mandatory: Let me know if you'd like a boy or girl colored diaper and what size by commenting on this post. Giveaway ends Monday, September 20th, at 9am. Comment #24 - Becca Payne!! If you follow my blog, you'd know that I've decided to start The Husband Project. You can read my first thoughts about this book here. I haven't officially started the project yet, but I've been implementing a few of the projects here and there and I can already see the difference! My hubby's been more helpful than he's been in a while and he's even taking me out to dinner tomorrow night - not something that happens very often with our busy lives. I'm planning on starting The Husband Project on September 19th and I sure hope a few of you will join me. You can purchase The Husband Project and any other of Kathi Lipp's books at Kathi's Store or on Amazon. I will also be giving one of our followers their very own copy of The Husband Project! Mandatory - Follow our blog. Giveaway ends Monday, September 13th, at 11am CST and the winner will be announed later that day. im a fan and would love to win a boy cover!!! Because we have such wonderful fans over at I Heart Fluff that love to share the fluff love - we are able to give one of you a fabulous nursing cover from Pixie Fluff!! Comment on this blog post to let me know you're a fan and tell me whether you'd like a boy or girl colored nursing cover. See - super easy! 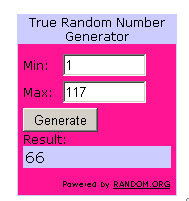 Just remember, only one comment per person and the winner will have 48 hours to contact me at iheartfluff@hotmail.com. This giveaway ends tomorrow, 9/11, at 11am CST. Eliminating tacky baby accessories one baby at a time. Ha! That tagline alone makes me want to buy from KAEL&KAED trendy handmade (baby) things! You can get some super cute toy/sophie/sippy straps, paci/soother clips, and blanket clips to help keep those baby items within reach and not thrown a few yards out of the stroller! 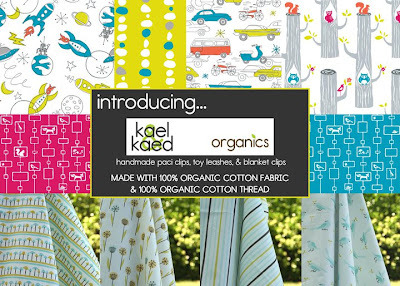 They've also recently developed an organic line of products made with 100% Organic fabric and 100% Organic thread. 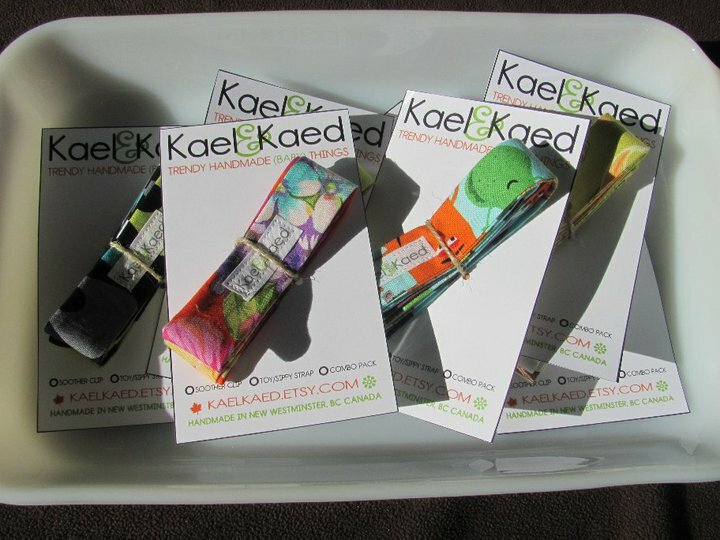 You can find KAEL&KAED on Facebook or at their Etsy store. The ability to customize your sippy leash, binki clip or blanket/nursing clips with the fabric of your choice as well as the matching snap color!! And, well, all of the awesome fabric choices (I like to think I have good taste :))!! I just wanted to find a hobby that could bring in a lil extra dough...and have fun doing it...know what I mean? Being creative is so much fun...my boys motivate me to think of new ideas everyday!! Well, as most of you know, "me time" is really hard to come by for anyone let alone moms. I love working on KAEL& KAED every second I can find, which some days is some, but most of the time not so much. As much as I love sewing and creating, being a mom comes first!! Love what you create and be as creative as you can. From your ideas to your final packaging, the love and dedication you put into your products will definitely show! I would have to say the sippy/toy leashes are my all-time fav!!! They definitely come in handy, especially when out in the stroller! They've been our best seller so far! Who doesn't want to stop playing fetch with their babies???? Big thanks to Tasha for being our featured WAHM this Wednesday. Tasha, whenever you get a chance, feel free to grab out WAHM Wednesday button for your blog or website!